This beachfront hotel is on South Padre Island Beach. Horseback riding and deep sea fishing are available within a mile. 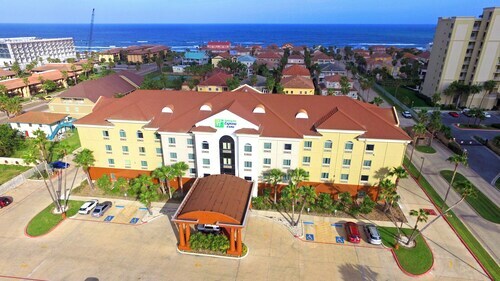 Located in the heart of South Padre Island, this hotel is 0.3 mi (0.4 km) from South Padre Island Beach and 2.9 mi (4.7 km) from Schlitterbahn Beach Waterpark. Sea Turtle Inc and Sea Turtle Rescue Center are also within 2 mi (3 km). 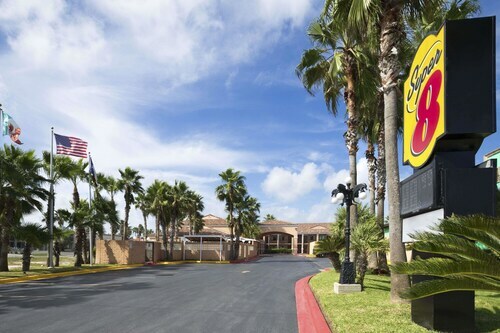 Located in the heart of South Padre Island, this motel is 0.3 mi (0.4 km) from South Padre Island Beach and 1.4 mi (2.3 km) from Schlitterbahn Beach Waterpark. Queen Isabella State Fishing Pier and Isla Blanca Park are also within 2 mi (3 km). 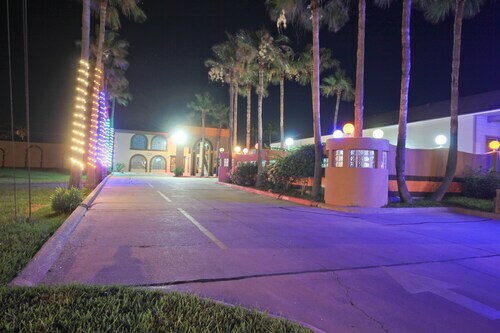 Located across from the Queen Isabella Causeway, this South Padre Island hotel is 2 blocks from both the beach and Laguna Madre bay. The Port Isabel Historic District is 3 miles away. Situated by the ocean, this hotel is within a 10-minute walk of Sea Turtle Inc and South Padre Island Beach. Sea Turtle Rescue Center and Andy Bowie Park are also within 10 minutes. 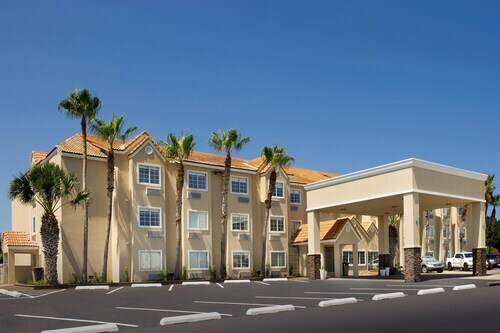 Situated near the bay, this hotel is within 1 mi (2 km) of South Padre Island Beach and Schlitterbahn Beach Waterpark. Isla Blanca Park and Port Isabel Lighthouse are also within 6 mi (10 km). 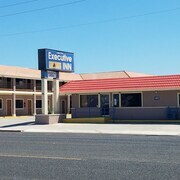 Located in the heart of Los Fresnos, this motel is 0.3 mi (0.5 km) from Little Graceland and within 6 mi (10 km) of Bobz World and Palo Alto Battlefield National Historic Site. Brownsville Sports Park and Sunrise Mall are also within 16 mi (25 km). 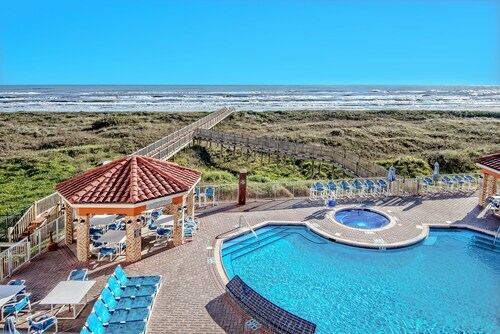 Situated near the beach, this hotel is 0.3 mi (0.5 km) from South Padre Island Beach and 2.6 mi (4.2 km) from Schlitterbahn Beach Waterpark. Sea Turtle Inc and Sea Turtle Rescue Center are also within 2 mi (3 km). 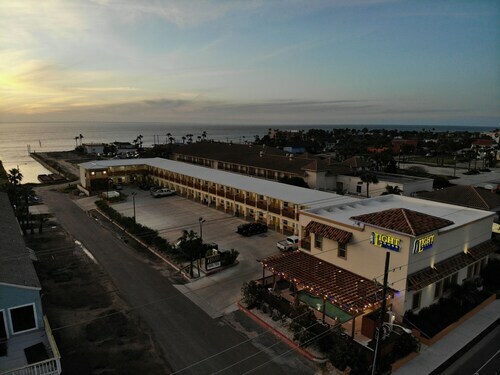 Situated by the ocean, this motel is 0.3 mi (0.5 km) from South Padre Island Beach and 2.7 mi (4.4 km) from Schlitterbahn Beach Waterpark. Sea Turtle Inc and Sea Turtle Rescue Center are also within 2 mi (3 km). 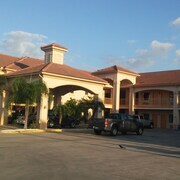 Situated near the bay, this hotel is within 1 mi (2 km) of Sea Turtle Inc and South Padre Island Beach. Sea Turtle Rescue Center and Andy Bowie Park are also within 1 mi (2 km). 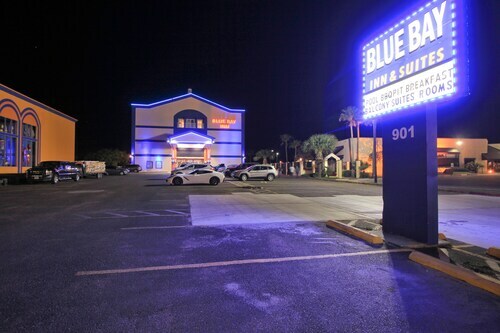 Situated by the ocean, this hotel is within 1 mi (2 km) of Queen Isabella State Fishing Pier, South Padre Island Beach, and Schlitterbahn Beach Waterpark. Isla Blanca Park and University of Texas Pan American Coastal Studies Laboratory are also within 2 mi (3 km). 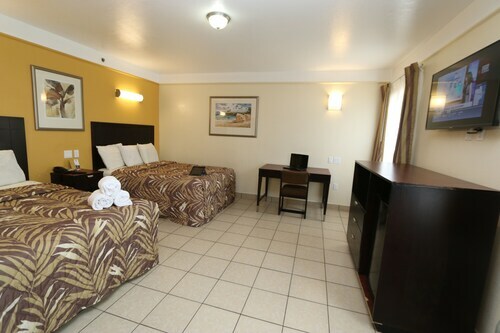 Located in the heart of South Padre Island, this hotel is within 2 mi (3 km) of South Padre Island Beach, Sea Turtle Inc, and Sea Turtle Rescue Center. Andy Bowie Park and Laguna Madre Nature Trail are also within 3 mi (5 km). Looking to break out of your routine for some much needed rest and relaxation? Or maybe you’ve already decided it’s time for a trip and are trying to find affordable hotels in South Padre Island that won’t bust your travel budget? 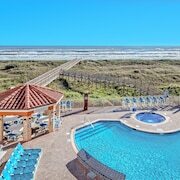 South Padre Island 2 star hotels will give you everything you need to enjoy the city like a local, saving a ton of money so you can hit all the hot spots in town. Have a delicious breakfast at your hotel to fuel up for your day of sightseeing, then enjoy amenities like fresh towels and linens, as well as a nice hot shower to unwind after a busy day of experiencing everything the city has to offer. 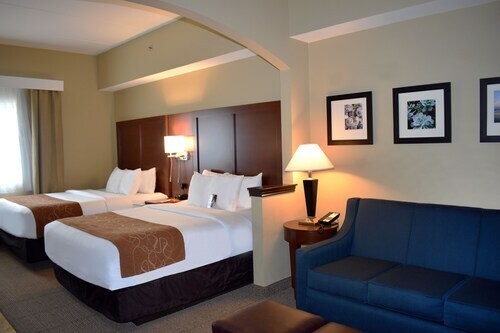 As you explore a new locale, or one you love to visit over and over, you can rest easy knowing you’re staying in a great hotel that lets you discover South Padre Island and welcomes you back to a clean, comfortable room at night. Browse Travelocity’s wide selection of 2 star hotels in South Padre Island and find one that’s perfectly priced and places you next to all the best activities and sights. The town is your oyster, and we can help you seek out its secrets while sticking to your budget. It is a Hilton so you already are getting a quality facikity but the staff put it over the top. They were knowledgable, couteous and accommodating not to.mentuon fun and super nice.